This is the second group deported from Mexico in recent weeks, after the arrival on March 27 of 68 persons. 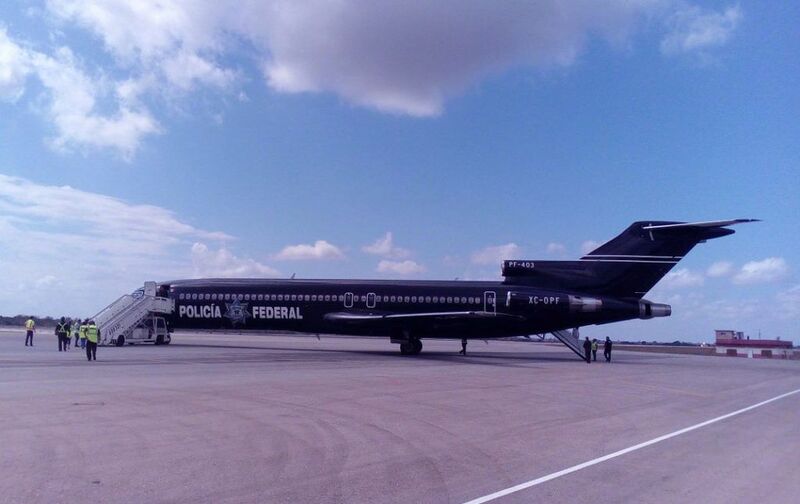 Mexican Federal Police aircraft that brought to Cuba a group of more than 50 deported migrants, on April 5, 2019. Photo: Prensa Latina/Twitter. 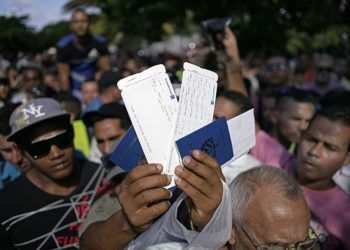 More than 50 Cuban migrants deported from Mexico arrived Friday in Havana, as part of the migratory agreements between both countries. 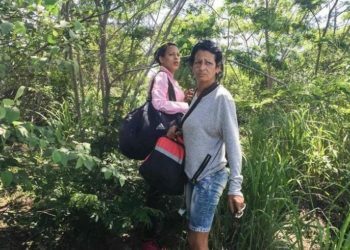 An aircraft of the Mexican Federal Police, which landed at José Martí International Airport, brought to the island “people who had left the island legally, but who became irregular migrants on their way to Mexico,” Prensa Latina (PL) agency reported. 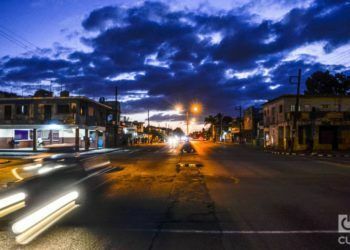 The deported persons will return with their family, according to the usual procedure in these cases, unless they are “citizens with some pending account with justice before leaving the island,” according to Cuban authorities. This is the second group of persons deported from Mexico in recent weeks, after the arrival on March 27 of 68 people. 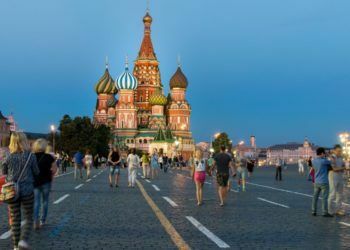 In this context, the island’s authorities insisted on the need for regular, orderly and safe emigration, to prevent people from being victims of human trafficking and other criminal activities. 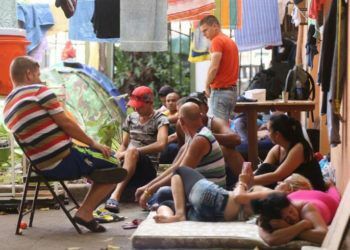 In recent months, groups of irregular migrants from Cuba on transit to the United States have been arrested in Latin American nations such as Honduras and Panama. 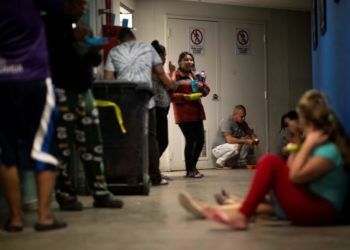 Meanwhile, a high number of people in Ciudad Juárez are waiting for the possibility of requesting or resolving their application for asylum in the United States. 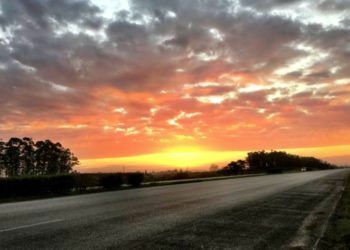 In January 2017, then President Barack Obama canceled the “dry foot/wet foot” policy, whereby Cubans arriving in the United States were accepted into the country and could obtain permanent residency. 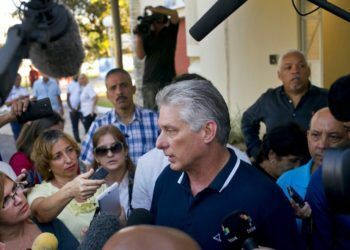 However, although the number of “rafters” has decreased, the migratory flow has not stopped in a scenario aggravated by the measures of the current U.S. government against Cuba, such as the suspension of consular activities in Havana after the mysterious health incidents reported by U.S. diplomats and the reduction for Cubans of the valid time for the B2 visa from five years to three months, with a single entry.